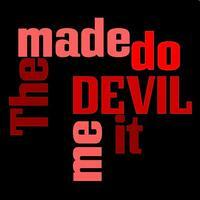 First Christian Church - SERMONS - The Devil Made Me Do It! The Bible tells us that it was God who made man and woman, and not an act of evolution. God could have just spoken us into existence, but instead God took personal interest in our design and He physically worked to form Adam and Eve. God used His own hands to form man out of the dust of the earth. Well, I guess that we can agree with the evolutionists on that fact – that we did come from the ground, but it was not in the way they have suggested. To be specific, it was only Adam that was made from the dust of the earth. Eve was made from Adam’s rib. All that was good in Creation was spoiled by sin. Sin is rejection of God. The consequence of this sin could have been immediate death and annihilation, but God shows Adam and Eve mercy, for He has redemption of mankind in mind. Nevertheless, in keeping His Word, God places curses on the serpent, the devil, who was responsible for instigating this sin. Then He addresses Eve who was deceived by the devil. 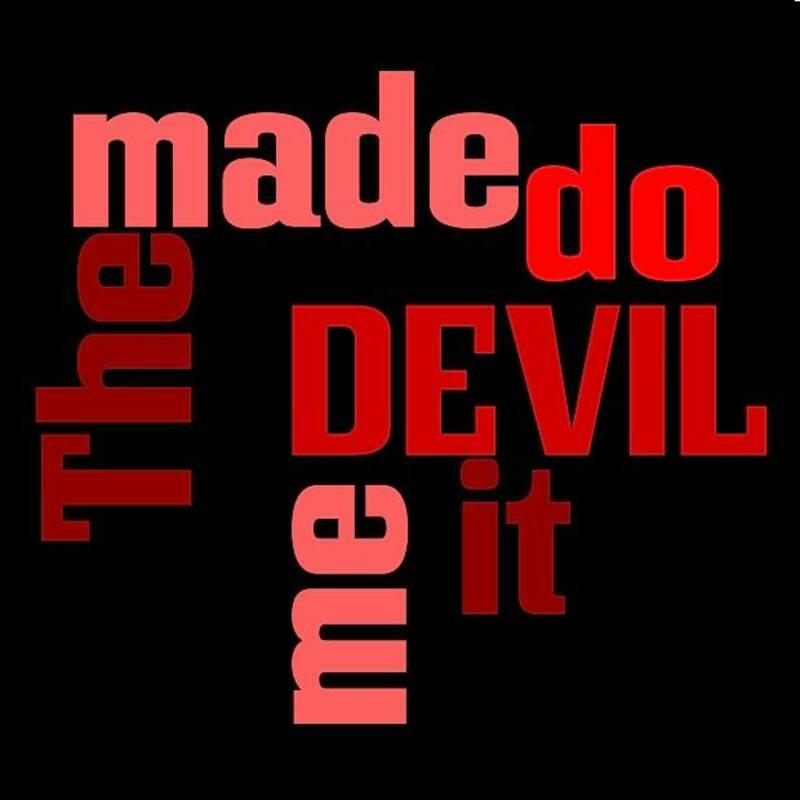 She was quick to say “The devil made me do it.” It didn’t matter; she was guilty of listening to the serpent instead of God. Last week we saw how Adam was over Eve because he was created first, and she was created “for” him. Now God is not only re-stating that principle, but He’s telling Eve that because of her part in the sin, there’s now going to be pain in childbirth and an element of discord in the marriage relationship. Nevertheless, His original plan of headship and helpmate will remain in effect. The man being the last in the transgression is the last to receive his sentence. Adam excused himself, by blaming God for giving him a wife who gave the fruit to him. However, God does not accept the excuse nor the blame. Adam knew what he was doing; he was there with Eve and said nothing to dissuade her or remind her of God’s Word. Since Eve didn’t drop dead, Adam chose to follow her lead and eat, instead of obeying and following God. Therefore, God also pronounced curses on Adam. Just like God’s original plan for marriage isn’t done away with, the creation ordinance of labor is also still in effect. However, Adam’s work will now become a very hard, sweaty thing. There will be thorns and thistles in the ground that he attempts to cultivate. Secondly, God says to him, “In toil you shall eat of it ALL THE DAYS OF YOUR LIFE.” Still, God shows His mercy. Adam is not sentenced to eat dust like the serpent, and later, we see, God gives man a day of rest from our toil. Lastly, we see that God is not slack concerning His promises. He told Adam, “In the day you eat of it, you shall surly die.” So, the last part of the curse is indeed death: “for dust you are and to dust you will return." Adam’s sin brought death into the world. If Adam had not sinned, he would not have died. Johnny said, "Well you better come over to our house right away and look under my bed ’cause there’s someone either comin’ or goin’!" Even with the curse of death, God has mercy. Instead of allowing sin to take their lives immediately, God allows Adam and Eve to live physically for a time on the earth. The moment they ate of the fruit, they died spiritually, and physical death does come eventually. The ratio of death to life is one for one. None of us escape it. But God often allows us to remain on this earth for a period of time. So the amazing thing about God’s love and mercy is that any of us are allowed to live at all. That brings us to the aftermath of the Fall; verses 20-24, and I want you to notice Adam’s faith. God just pronounced His curse upon creation because of sin. He said, because of sin, man will now experience death, but He also said that the Seed of the woman will crush the head of the serpent. So even though God has pronounced a sentence of death, Adam has faith in the promise of the Seed of the woman, and he names the woman “Eve” which is literally “Life.” In other words, Adam understood what God was saying, and he responds in faith by calling his wife, Eve. Then God covered their nakedness. What did He use to cover that nakedness? Animal skins. Where did God get those animal skins? Did an animal just volunteer its skin? No, an animal had to die. This is a picture of the atonement that is to come. Hebrews 9:22 "In fact, the law requires that nearly everything be cleansed with blood, and without the shedding of blood there is no forgiveness." So the blood of an animal is shed, and Adam and Eve’s nakedness is covered. However, the sacrifice of animals can only cover sin, but the Sacrifice that is to come, the Blood of Lamb of God—Jesus Christ, will cancel sin and wash us whiter than snow. The shedding of animal blood was a foreshadow of the complete and final forgiveness for mankind’s sin through the shedding of Christ’s blood. Jesus Christ said in Matthew 26:28, "This is my blood of the covenant, which is poured out for many for the forgiveness of sins." Lastly, God drives Adam and Eve from the Garden of Eden. They lost paradise. They lost walking in the cool of the day with God. Now they are separated from God. There will be sadness, pain, and suffering. Adam and Eve went out from the garden covered with fear and shame. However, the removal of Adam and Eve from the presence of the tree of life is again an act of God’s mercy. If Adam had eternal life in a state of sin, he would’ve had a life of eternal condemnation. Thank God for the atonement of Jesus Christ on the Cross. What does the Atonement do? It takes away fearfulness and shame, and brings us back again into a relationship of faith and love to God. Notice how the death and sufferings of Jesus fulfilled the sentence passed upon mankind for the sin of Adam. (1.) Suffering came in with sin. Jesus suffered our punishment. Isa 53:11 After the suffering of his soul, he will see the light [of life] and be satisfied; by his knowledge my righteous servant will justify many, and he will bear their iniquities. (2.) Curses came in with sin. Christ was made a curse for us. (3.) Thorns came in with sin. He was crowned with thorns for us. (4.) Sweat came in with sin. He sweat as it were great drops of blood for us. (5.) Sorrow came in with sin. He was a man of sorrows. Isa 53:3-12 He was despised and rejected by men, a man of sorrows, and familiar with suffering. Like one from whom men hide their faces he was despised, and we esteemed him not. Surely he took up our infirmities and carried our sorrows, yet we considered him stricken by God, smitten by him, and afflicted. But he was pierced for our transgressions, he was crushed for our iniquities; the punishment that brought us peace was upon him, and by his wounds we are healed. We all, like sheep, have gone astray, each of us has turned to his own way; and the LORD has laid on him the iniquity of us all. He was oppressed and afflicted, yet he did not open his mouth; he was led like a lamb to the slaughter, and as a sheep before her shearers is silent, so he did not open his mouth. By oppression and judgment he was taken away. And who can speak of his descendants? For he was cut off from the land of the living; for the transgression of my people he was stricken. He was assigned a grave with the wicked, and with the rich in his death, though he had done no violence, nor was any deceit in his mouth. Yet it was the LORD's will to crush him and cause him to suffer, and though the LORD makes his life a guilt offering, he will see his offspring and prolong his days, and the will of the LORD will prosper in his hand. After the suffering of his soul, he will see the light [of life] and be satisfied; by his knowledge my righteous servant will justify many, and he will bear their iniquities. Therefore I will give him a portion among the great, and he will divide the spoils with the strong, because he poured out his life unto death, and was numbered with the transgressors. For he bore the sin of many, and made intercession for the transgressors. (6.) Death came in with sin. Jesus became obedient unto death. Phil 2:8 And being found in appearance as a man, he humbled himself by becoming obedient to death— even death on a cross! In the 1st three chapters of the Bible we learn about the world that God had made and the mess we made of it, but the rest of the Bible is about God’s plan to redeem that mess for His own glory and for our good. Nevertheless, this third chapter has a lesson for us. 2 Cor 11:3 But I am afraid that just as Eve was deceived by the serpent's cunning, your minds may somehow be led astray from your sincere and pure devotion to Christ. Satan always perverts what God says. Remember that the characteristics of man’s union with God are faith in God and love for Him. This union was the first thing Satan aimed at in Adam and Eve, and he did it by perverting what God said. He will do the same to us. We have to “take captive every thought to make it obedient to Christ” (2Cor 10:5). Never allow your mind to run off on wild speculations about things you don’t understand in God’s Word, which is where danger begins, “I want to find out this and that.” There are some things of which we must remain ignorant, because knowledge of them comes in no other way than by disobedience to God. The knowledge of good and evil, that came through the Fall, has given humans an insatiable curiosity about evil. Jesus says. “I am the Way, the Truth, and the Life”--not only the way to be saved and sanctified and to live as a Christian, but the way to think as a Christian. Prior to the Fall, Adam’s spirit, soul, and body were in absolute harmony with God. When Adam fell, the Spirit of God was withdrawn instantly. The real seat of death is in man’s spirit. The destruction of the body is an aftermath. Man became his own god, exactly what the devil said would happen. And verse 22 is the confirmation from God’s standpoint that man has become as He is. And the LORD God said, "The man has now become like one of us, knowing good and evil. Man ignored God and made himself god. That is the essential principle of sin—“my right to do as I please.” We retain the damage done by the Fall, even after salvation. And unless we are born again by the Spirit of God and continually draw our life from the Holy Spirit, Satan will come in as an angel of light and deceive us, the same way he did Eve. That is why we are commanded not to grieve the Holy Spirit. Here is the Good News. We are all under the curse of Adam, but Jesus Christ redeemed us from the curse. Rom 5:12-21 Therefore, just as sin entered the world through one man, and death through sin, and in this way death came to all men, because all sinned--for before the law was given, sin was in the world. But sin is not taken into account when there is no law. Nevertheless, death reigned from the time of Adam to the time of Moses, even over those who did not sin by breaking a command, as did Adam, who was a pattern of the one to come. But the gift is not like the trespass. For if the many died by the trespass of the one man, how much more did God's grace and the gift that came by the grace of the one man, Jesus Christ, overflow to the many! Again, the gift of God is not like the result of the one man's sin: The judgment followed one sin and brought condemnation, but the gift followed many trespasses and brought justification. For if, by the trespass of the one man, death reigned through that one man, how much more will those who receive God's abundant provision of grace and of the gift of righteousness reign in life through the one man, Jesus Christ. Consequently, just as the result of one trespass was condemnation for all men, so also the result of one act of righteousness was justification that brings life for all men. For just as through the disobedience of the one man the many were made sinners, so also through the obedience of the one man the many will be made righteous. The law was added so that the trespass might increase. But where sin increased, grace increased all the more, so that, just as sin reigned in death, so also grace might reign through righteousness to bring eternal life through Jesus Christ our Lord. • Sin is replaced with RIGHTEOUNSESS. • Death is replaced with ETERNAL LIFE. • Condemnation is replaced with FORGIVENESS. • Aimless wandering is replaced with FOCUSED PURPOSE. • The Law is replaced with ABOUNDING GRACE! Furthermore, Jesus gives man access once again to the Tree of Life. But that access is only granted after we are redeemed. This was part of God’s redemptive plan back in the Garden. Rev 2:7 He who has an ear, let him hear what the Spirit says to the churches. To him who overcomes, I will give the right to eat from the tree of life, which is in the paradise of God. Rev 22:1-2 Then the angel showed me the river of the water of life, as clear as crystal, flowing from the throne of God and of the Lamb down the middle of the great street of the city. On each side of the river stood the tree of life, bearing twelve crops of fruit, yielding its fruit every month. And the leaves of the tree are for the healing of the nations. Rev 22:14 Blessed are those who wash their robes, that they may have the right to the tree of life and may go through the gates into the city. What Adam ruined in the Creation, Jesus restored. Here are some things to remember. 1. God takes sin very seriously and so should we. Some may say that what Adam did was no big deal since all he did was munch on some fruit. But it was a big deal because the fruit not only contained knowledge, it contained death. God always has our best in mind when He gives us commands. Adam sinned because he rejected God’s way and disobeyed God’s command. Let’s not minimize sin. The consequences are too great, and they affect others besides ourselves far beyond our lifetimes. 2. We don’t become sinners by sinning; we sin because we are sinners. Sin is not what we do; it’s what we are and is evidenced by what we do. Sin is more than just an act; it’s an attitude and a condition of being separated from God. We do what we do because of who we are. We all sin and fall short of the glory of God. If you need a new birth that will make you come alive, it begins by believing that God loves you enough to provide a way to forgive your sins and bring you close to Him through the sacrifice of His Son, Jesus Christ. It also begins with repentance, being truly sorry for our sins and confessing them to God. When we do that and make a commitment through baptism to love and obey God, He does a miraculous work in our heart! God makes us come alive where once we were dead! The newness of His life, given by the Holy Spirit, begins to flow into us. And when that happens, we are changed!